Zaayeka: Amaretto Tiramisu Cake --- The Ultimate Celebration Cake !! I am a level-headed person who tries to be well read and well informed...I try to be on my toes with all thats' happening around.Its just one life and one world. My motto-Live it to the hilt! My tete-a-tete's with the kitchen started only after getting married and quitting work.But in the past one year I have had so much fun in the kitchen that I couldn't help but share it with friends around the world. Come share my joy! Çok sagolun Mediterranean Turkish Cook. When you meet the person you want to spend the rest of your life with…you want the rest of your life to begin soon. Well this is what exactly happened when we met. Its been two years since our wedding and am still amazed at how fast time flies. I am madly in love, (more than ever) with the man I married two years back!! I am the sort who loves both giving and receiving surprises….however small they may be. So had been preparing for the day excitedly…almost feverishly, for the entire month. And since we are out and out foodies….I had to quite literally whip up a storm, first in my head and subsequently in my kitchen. I love my man and as most of you will identify with; we blog-bakers want to show all our love with what we bake/cook in the kitchen. It was ‘our’ anniversary so had to bake a cake nothing short of gorgeous, both in taste and appearance. Have baked quite a few cakes before (a few still unposted, rest in the archives) mostly using fruits as I love fruits in my cake. Hub however doesn’t care much about fruits in his desserts. Black Forest Gateau was done last year, Red Velvet cake was for friendship day, Peach torte was for no good reason, Pineapple cheese-cake was just-like-that, Mango pastry went with a courtesy visit to a relative, Citrus cake for an in-law’s birthday……honestly my choices were getting limited in terms of cakes/tortes. Googled a lot and suggested recipes to the hub, each went into the recycle bin with a shake of the head. The cake had to satisfy all the criterions… have chocolate without being too chocolaty, have some sort of nut without being pronounced, no fruits, had to be a layer cake etc etc…S-I-G-H !! Last week while I was lying wide awake in bed at night, it hit me that I have never made Tiramisu..yet! Then the next thought was can I make a Tiramisu cake?! Told hub excitedly next morning…..he was fine with that but was a little inhibhited about that much coffee in the cake. Back to square one….thought and thought and thought when luck struck! I was rummaging through the cupboard when I noticed this unopened bottle of Amaretto staring back at me. Tan-ta-ran!! My glee knew no bounds. Headed straight to the kitchen to live the dream I had just seen with wide-open eyes. This cake was a real delight to make, spread over three days, plus two days to let the flavours set in and mingle before D-day arrived. Instead of the lady fingers I made a regular genoise (yes with clarified butter/ghee). The crumb/texture of the genoise was light, tender and moist. Sliced it into two. Baked another layer of chocolate sponge, only this time with a little more coffee. Was still apprehensive about the taste as I have never tasted an Amaretto Tiramisu ever. So to atleast make the cake look appealing decided on making a chocolate rose…yet another first! ** Will add a video-tutorial later,(without the use of corn syrup). In the mean time for those of you who cannot wait here is the link from wherein I got my inspiration. Enjoyed making mascarpone. Luxurious and indulgent. Touched up the mascarpone ganache with some semi-sweet chocolate chips and strong brewed coffee. Decided on a plain white amaretto-infused-mascarpone icing. A day before D-day finished the icing et al, sans the chocolate rose. Wanted to surprise the hub, by placing it at the last minute. Cut it at midnight and can’t express the feeling of this creamy heaven in the mouth. YUM! Hub was delighted beyond words and kept admiring the rose while spooning the relish into his mouth…before the congratulatory calls inundate ‘the moment’…..lol. As for me, I was glad he loved it, though he didn’t say it in words…his eyes said it all. 1/3 cup semi-sweet chocolate chips,melted/microwaved on high for 30 secs. Bring about 2 inches of water to a boil in a wide skillet. Reduce the heat to medium-low so the water is barely simmering. Pour the cream into a medium heat-resistant bowl, then place the bowl into the skillet. A double boiler of sorts. Keep stirring on medium flame. About 15-20 mins of deliacte heating. Add the lime juice and continue heating the mixture, stirring gently, until the cream curdles. All that the whipping cream will do is become thicker, like a well-done crème anglaise. It will cover the back of your wooden spoon thickly. All you will see would be just a few clear whey streaks when you stir. Remove the bowl from the water and let cool for about 20 minutes. Meanwhile, line a sieve with four-five layers of dampened cheesecloth and set it over a bowl. Transfer the mixture into the lined sieve. Do not squeeze the cheese in the cheesecloth or press on its surface, it will firm up on its own during the refrigeration time. Once cooled completely, cover with plastic wrap and refrigerate (in the sieve) overnight or up to 24 hours. Add the confec. sugar to this mascarpone cream and whisk by hand till combined. Set one third of it aside. To the remaining two-thirds, add the melted choco-chips and coffee brew. Mix together till you get a creamy texture. This is the filling. To the one-third, add amaretto and hand-whisk till smooth. This is the outer frosting. Preheat the oven to 180 degress C. Line, grease and flour an 8 inch cake pan. Bring some water to a boil in a large pan/griddle & reduce to simmer. Place eggs & sugar in a large bowl, whisk constantly over the simmering water, heat the eggs to lukewarm. Sift a third of the flour over the whipped egg mixture. Use a rubber spatula to fold in the mixture-quickly but gently-until combined. Fold in the rest of the flour too. Then add melted ghee/clarified butter in a stream as you keep incorporating it into the batter. Add the vanilla extract at this point. Pour the batter into the lined pan and bake at 180 degrees C for 35 minutes or so, till the edges of the cake shrink slightly and the top springs back on touch. Cool and umould onto a wire rack. Slice the cake into two once completely cooled or you will risk getting crumbly uneven slices. This genoise stays well if cling wrapped, for 3-4 days in the fridge or upto 2 months in the freezer. Now for the chocolate sponge. Seive all the dry items together three times. Cream the butter and sugar together till pale. Add the eggs and beat well till fluffed up to double its volume. Fold in the dry ingredients into the wet. Pour into a lined 8 inch cake pan. Bake at 180 degrees C for 35 minutes app. Place one layer of the plain genoise on the cake serving platter. Top with some of the filling. Place the chocolate sponge layer next. Sprinkle this with amaretto liquer too. Top with the filling. Place the final/top genoise layer. Spread the mascarpone-amaretto frosting on top. Spread the remaining filling on the sides of the cake. Decorate the borders with almond shavings. Adorn the cake with the chocolate rose and leaves. Note: I did not use any simple syrup to soak the sponges as the Amaretto liquer is sweet. If you desire you can add sugar to the soaking syrup, for a sweeter cake. ....for a truly wonderful brunch. Gorgeous cake navita! happy Anniversary! Wow wow wow.. both are gorgeous. WIsh i could have some to eat right away. my hands shake thinking of Cake, u made it look so very delish..i badly wanna try out but wud love to have someone beside me to guide me thru...still shaky hands!! and still i wanna shake u a HAPPY ANNIVERSARY!!! Happy anniversary! The cake looks amazing! That rose is just incredible, wow! Wow what a treat! Everything looks delicious..loved the rose..Happy Anniversary! Oh my god, wat a gorgeous tiramisu cake. ;cant take my eyes..such a lovely and delicious treat Navita...Happy anniversary dear.. Happy anniversary, dear Navita!!! May your years together be always filled with joy and love!
" The road to a man's heart is through his - stomach" - Navita, I think you got the right road. Wish you many many happy returns of this day :). PS: Great to see you back. Happy Anniversary!! Your creation is a masterpiece - beautiful and incredibly delicious!! The rose is perfect! Congratulations, and what an amazing dessert! I thought maybe I would try making it, but now I'm not so sure... you are very talented! I am also wondering when I will ever get around to making Tiramisu. Wow...this is when the cake not more just a cake, but a piece of art. Just beautiful...the rose is so vivid and elegant. Well done! Ciao ! Auguri for your beautiful marriage ! And what a cake !!! About sourdough: you can make it at home but I'll email you about it tomorrow !!! Goodnight !! Happy Anniversary, and that is a heck of a feast you prepared. The tiramisu is a work of art. If it tastes half as good as it looks it was stupendous. A beautiful cake! What great flavors! That pizza and those rolls look extremely good too! What an absolutely gorgeous cakes...that flower is superb!! I love the flavors you've put into it. And that pizza...mmmmmmm. 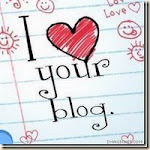 Thank you for your comment on my blog- and congrats on your two year anniversary! I hope you have many many more. This is my first time over here, but your post was very cute- I love new love! I have been married for 13 years, I'm not so cute anymore! LOL! The cake looks & sounds delish! Lovely dessert for a lovely occasion! Happy Anniversary! Happy Anniversary! Your cake is just incredible! Your chocolate rose for the cake is so beautiful. Wonderful cake with beautiful chocolate rose decoration on top. I bet it taste delicious too. And second what an amazing cake!!! Just beautiful!! I just love that rose! Wow!!! Baking wizard, baking fairy...baking queen? Whatever the name...you are incredible. The cake is gorgeous as well! Hope you had a happy day! I believe it's my first time here..everything looks yummy! How could anyone skip chocolate?? This looks amazing, I love tiramisu anything. What a lovely cake! The rose is beautiful! Everything else is so yummy! Happy anniversary. Wow! This is impressive!! Love the chocolate rose. Happy belated anniversary wishes Navita. The cake sounds delicious and looks stunning. It has been way too long since I've visited your blog. Blame it on work. Both recipes look delicious! And I love the flower on your tiramisu... it is so cute! That cakes look so divine! What a perfect way to celebrate. Happy anniversary! Happy anniversary and beautiful cake. On a side note I am so addicted to coffee that I am pretty sure I would have drank all of the coffee and left none for the cake. Awesome.. first time here and have to say your pictures and attention to detail is great. Tandoori paneer pizza looks so delicious! I would eat the whole thing! :D haha i'm so greedy! Awesom cake and pizza.Love the chocolate rose.So perfekkkt!!! The cake looks gorgeous...I'm literally drooling on my keyboard!! This cake is gorgeous. Did you make the chocolate rose as well? I love how your tiramisu cake looks! Perfect! fantastic blog dear!your tiramisu cake is stunning with the rose! Oh wow, definitely a lovely dish with a beautiful rose on top! The way u r makes me think that we are similar souls...preparing for something a month ahead and all that confusion that goes into preparing, loads of reasearching on net and boy!it takes hell lotof energy and time, doesnt it?...loved ur blog and i am sad u dont blog any more....i think good bloggers like u should stay, to entertain others and share great recipes...I feel really touched after reading you. Especially "My man is of few words, and you could read it all in his eyes!how mnay ladies out there would think of it that way...all they would moan about is how their hubbies don't appreciate when they dont talk it out. You r truly understanding an a great wife. Wish u both a wonderful married life together..
What a delectable way to celebrate your anniversary! I know about wanting to demonstrate everything you feel through food:-)) Will keep dropping by!! Congrats on your special day. Thats a pretty special way to celebrate. Love the cake...YUM!! The next day was the mascarpone. And the final day (a day before the anniversary) assembled it all. Shoot if you have any more queries. Good luck! Thank You for taking out the time to put your thoughts into words. It is appreciated. 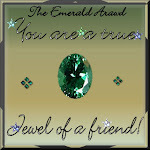 Hope I am able to keep you involved, intrigued and happy with this blog. Your views are welcome. Health Nut - Are you eating Nature's best ?